Dr. Roy S. Brigance of Mountain Brook, Ala., who served as chair of the Samford University sociology department for more than two decades, died Aug. 25. He was 87. 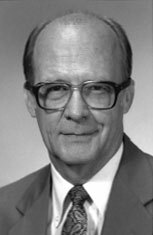 Dr. Brigance joined Samford as department chair in 1970 and served until his retirement in 1992. After serving in the U. S. Navy during World War II, Brigance earned a bachelor of arts degree from Mississippi College in 1948. He went on to earn a master of religious education degree from Southern Baptist Theological Seminary and master’s and Ph.D. degrees in sociology from Mississippi State University. Brigance was a founding member of the Alabama-Mississippi Sociological Association and served as its president in 1978. He was a member of Alpha Kappa Delta national sociology honor society. He is survived by his wife, Louise; daughter, Dendy Clark; granddaughter Caroline Clark; sisters Mae Elizabeth Gill and Jane Holton; and brother, William. Services for Brigance will be Thursday, Aug. 28, at 1:30 p.m. at St. Luke’s Episcopal Church, where he was a member. The family suggested donations to St. Luke’s ministries in lieu of flowers.